Organic. 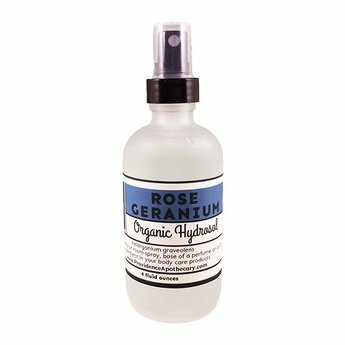 Rose geranium hydrosol has a rich and exotic aroma with too many uses to list here. It is a fantastic body and face spray and makes a great addition to skin care products. Try a little in the bath for a real treat!